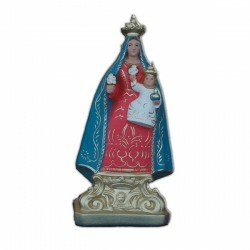 Statue of the Virgin of the Rosary 36 cm. She appeared in 1208 in Proquille to Saint Dominic, in the convent he founded. She had the Baby in her arms and a rosary crown in her hands. Ever since she was called “The Virgin of the Rosary”. The Church commemorates her on the 7th of October. In times past the celebration was instituted for the Virgin of the Victory, to remember the Lepanto Battle, that was ended with the Victory of the Holy League against the Ottomans. 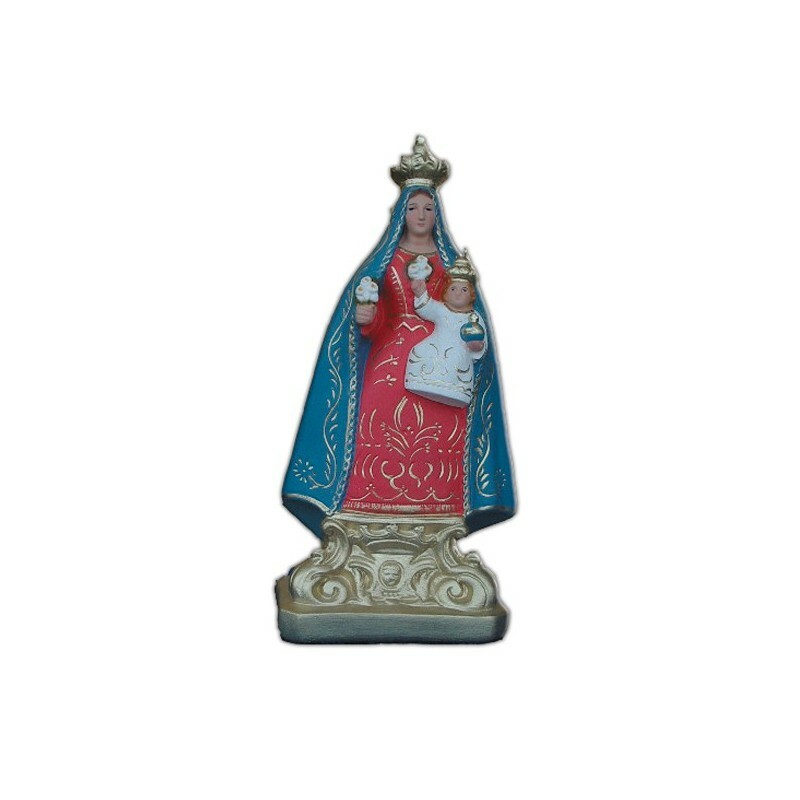 The people’s belief tells us that this victory was due to the Mary’s protection, that was implored acting the religious rosary before the battle. Pope Gregory XIII converted the celebration to the Virgin of the Rosary. In the most classical representation she is on a throne, with a red clothing and a light blue mantle, with golden decoration and a crown on her head. She has the Baby in her arms, with a crown too and with a ball with a cross in his hands. It symbolizes His Cross on the World.